Great hardware for price, software needs work. I'll be honest here (I always am? ): I don't understand the iPad comparison. The Kindle Fire and iPad 2 couldn't be more different. They are vastly different sizes, shapes and prices. They even serve slightly different functions. The search for an iPad killer reminds me of the search for a Voodoo killer back during the heyday of 3dfx in the late 1990s. 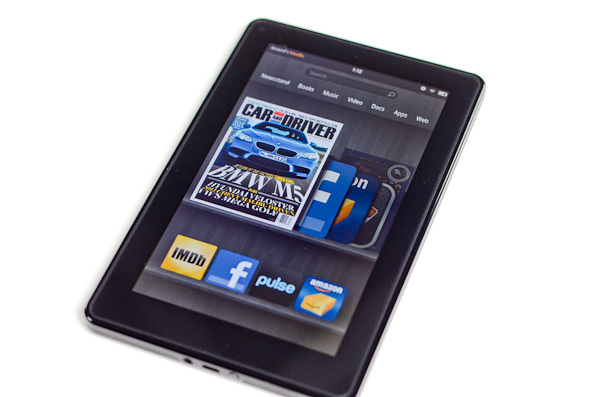 The Kindle Fire serves entirely different purposes than to take marketshare away from Apple. Why would Amazon enter the IPS LCD equipped multitouch tablet business to begin with? For users who are content reading ebooks on an e-ink screen, the vanilla Kindles are as good as they get. The problem is for users looking to consolidate devices, they may find themselves carrying a Kindle and a tablet of some sort (likely an iPad) and will ultimately ditch the Kindle in favor of the iPad. Should these users replace their Kindles with iPads, there's the argument that Apple could tempt them away from Amazon's Kindle store altogether. If they want a more affordable tablet however they are likely going to be forced into a solution that's probably not very good. Neither possibility is something Amazon likes, so the obvious answer is to offer a Kindle that delivers enough of the tablet experience that will satisfy those users looking for more than an e-ink Kindle could provide. The Fire is that Kindle. Read on for our full review!